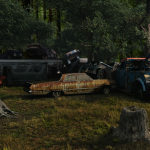 Wrecked Cars Pack 1 contains a dozen super low-poly junker vehicles for use as mid to background filler in your Vue scenes. 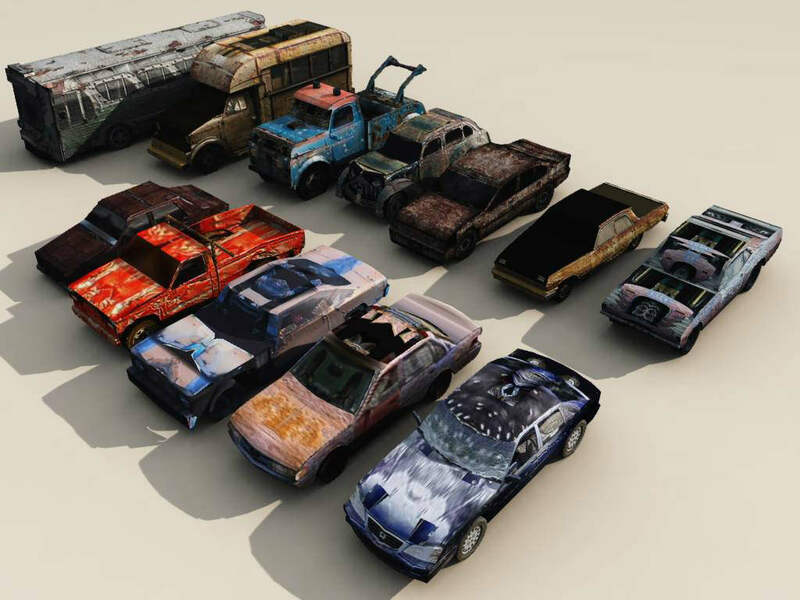 Whether you want some junkers to flesh out an rural property scene or need to create a barrier to keep the zombies out, these freebie cars are just the ticket. 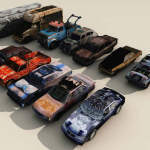 The mapping is rough at best and more like totally wonky in spots, but for use further back in scenes, they work great. Enjoy! 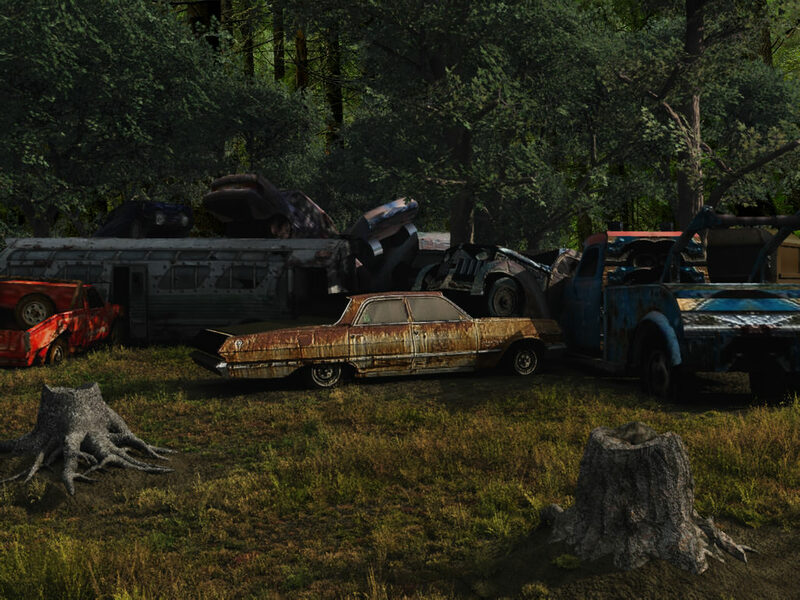 These models are built to real-world size units and saved as a fully textured .vob file that is compatible with Vue versions 6 and later, though later versions may need some minor texture tweaks.